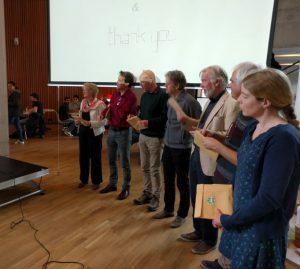 In the spirit of Wageningen University & Rechearch’s ambition to be leader in sustainability, Green Office Wageningen honors teaching staff who can distinguish themselves as ‘Green Teachers’. 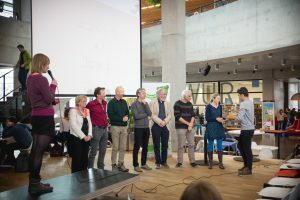 The idea of the Green Teachers award is to recognize teachers working at Wageningen University who inspire students to think and act in a sustainable manner; Some teachers use innovative methods to stimulate students to be actors of change. their good work and therefore we want to use the Green Teacher Awards to reward them and put them in the spotlights. This year’s nominated Green Teachers will share their view on sustainability and teaching. 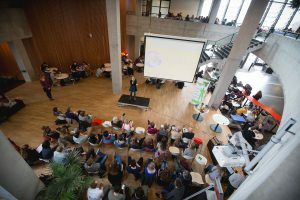 A discussion will be held on how academic learning can improve the world in Impulse on 2 March at 12:30! 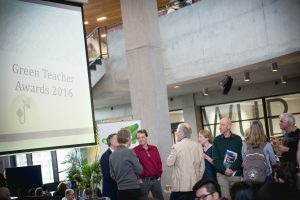 You can find the nominated teachers and the program here: Green Teacher Award booklet 2018. 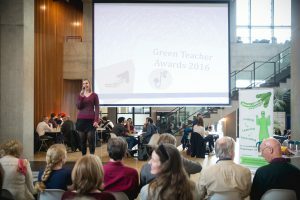 In 2016 students nominated their own Green Teachers! We interviewed them and here is the booklet with interviews. You can come pick it up at our office. 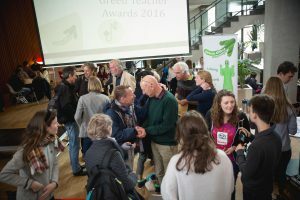 On 1st of March 2017 we had the award-giving event (see photo) where all teachers gave inspiring pitches and in the end they received their well-deserved price: GreenBooks from A Green Story. 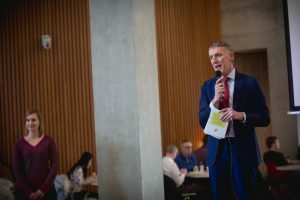 Green Office initiated the Green Teachers Award to improve sustainability in education. By selecting 10 teachers which were recommended by us due to their sustainable teaching, we want to inspire all teaching staff! In this link you can download the booklet and read everything about the Green Teachers 2015.